Laura May’s father, Eusebio Azipiazu (aka Mario Antobal), met and married Marion Sunshine, a famous Vaudeville actress, singer and composer and together they made musical history. Born Mary Ijames, the name Sunshine came when a pre-teen twin-sister act became known as Tempest and Sunshine. They grew up on the stage, and played venues like the Palladium Theatre and the RKO Palace Threatre. She was in the Ziegfeld’s Follies and on stage when she met Antobal. Marion, often referred to as “The Rumba Lady”, was a remarkable and multi-talented woman and is credited for introducing Don Azpiazu’s music to the U.S. and Europe, having sponsored, financed and staged his performances. When Mario became his brother’s manager, and set up Pan-American Music and later Antobal Publishing, Marion wrote most of the English translations to lyrics, as well as collaborated with other writers on songs. From Bossa Nova Stomp to Jumpin’ The Mambo, she was well-respected for her conversion from Latin lyrics to English. Marion Sunshine traveled with ‘Don’ Azpiazu’s orchestra from coast-to-coast singing the English version of The Peanut Vendor. She performed at the Palladium Theatre in London and Queen Mary included the song in the music for the first Buckingham Palace ball since 1924. Marion Sunshine also sang it at a Royal Command Performance. Due to it’s success with the British, the rumba spread to Europe. She appeared on Broadway in musicals such as “Going Up”. She appeared in 26 films between 1908 and 1916. Ella Fitzgerald also recorded “MacPherson is Rehearsin’ (To Swing)”, “One Side of Me” and “When I Get Low, I get High”. ‘Don’ Azpiazú, my uncle, was a leading Cuban bandleader in the 1920s and 30s. His band introduced authentic Cuban dance music and Cuban musical instruments to a wide audience in the USA and recorded one of the biggest hits in Cuban music history, the Peanut Vendor. My mother, May McKim, was a performer who shared the bill with the greats of the time including Ethel Merman and Martha Raye. My father married former Ziegfeld girl Marion Sunshine. A famous vaudeville actress, singer and composer, together they made musical history. Marion was a canny songwriter who became known as “The Rumba Lady”. Her songwriting credits are vast. My father’s band, Antobal’s Cubans, included some of the hottest Latin session men in New York at the time such as Alberto Socarrás. Born in New York City and raised in West Africa, Laura-May Azpiazu has music in her blood. Her uncle, ‘Don’ Azpiazu, was a Cuban orchestra leader credited with the explosive introduction of Latin Music to America and Europe. Her father, Eusebio Azipiazu (aka Mario Antobal) was a music publisher and managed her uncle’s musical career. Her mother, May McKim, was a chanteuse in the supper clubs and society orchestras of the 1930s and her stepmother, Marion Sunshine was a Vaudevillian star, musical comedy actress and well known songwriter. Laura-May’s songwriting career was not only written in the stars, but in her DNA. When others were learning how to read and write their ABC’s, she was learning how to read and write music. With her Latin heritage, tangos and salsas call to her but she writes for all styles including jazz, instrumental, country and Christmas. 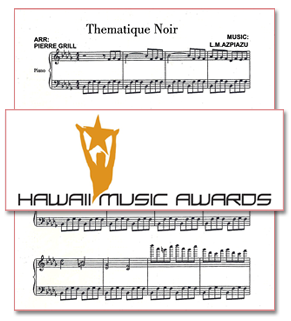 Listen Laura-May’s Film Noir-The Musical, winner of the 2011 Hawaii Music Awards and access the script. She now resides in Hawaii with her artist husband Hank Taufaasau. They own two evening hot spots in downtown Honolulu; Hanks Cafe and The Dragon Upstairs where jazz and contemporary music are featured in the artistic atmosphere of Chinatown. 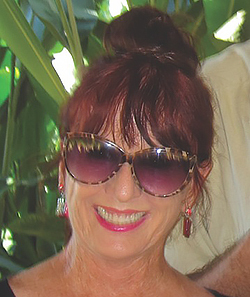 Living in paradise has inspired her to write world music as well. I was fortunate to be born into a proud musical heritage: a great grandfather who two centuries ago performed for a Queen; an uncle who is credited in all Latin American history books with the explosive introduction of Cuban music into America and Europe; a cousin, whose career in music has led him to perform at Presidential Inaugurations and command appearances before royalty (as well as composing and recording); my music publisher father who also organized an elite group of musicians whose limited recordings are much sought after by today’s collectors; my stepmother, who enjoyed an extraordinary career in Vaudeville and musical theater (and many silent films with the likes of Mary Pickford), as well as being a most successful and prolific songwriter; my mother, a dazzling chanteuse; and even a brother-in-law who was a renowned symphony conductor. I write songs, I’m not a musician or a performer, so I’ve been very lucky to be able to ‘package’ my songs with the talents of wonderful musicians, vocalists, and a really great recording engineer. The results have been well received by reviewers and public alike. Songwriting is a particularly satisfying profession if you love the infinite variety of language, but are not a novelist. And if you’re not a musician? You can always hum or whistle a memorable melody. But, it is a skill, and in a well-crafted song, lyrics and music must be partnered intelligently. 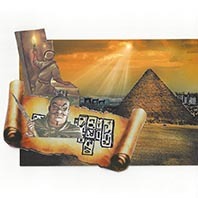 The direction of my songwriting has been influenced by my own preferences, not by trends; but I would welcome collaborating on any sort of project, rap included. 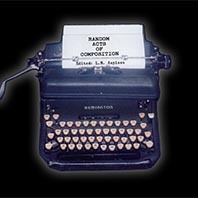 Not only is LM a songwriter, but she has authored multiple stories and verse. Enjoy! A unique and unconventional short story and verse collection. Author LM Azpiazu, in her distinctive style, has put together an unorthodox mix that will surely appeal to a variety of readers. The Christmas tree is twinkling, the gingerbread is baking—it’s a perfect time for Christmas coziness. 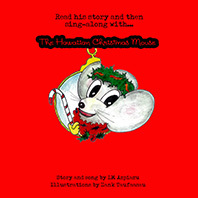 Journey with the Hawaiian Christmas Mouse as he “talks story” with some of the fabled creatures in Hawaii, and shares his Christmas activities in a family sing-a-long. Available in both paperback and hardcover on Amazon. 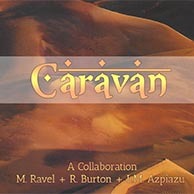 Free song download with purchase of this book. 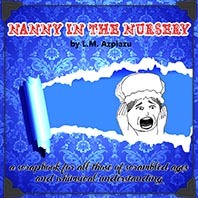 Nanny in the Nursery is an eclectic assortment of verse and prose that offers a chance to: play with fairies, laugh at nonsense rhymes, reflect on character and manners, sing some new songs, and even write your own solution to an exciting mystery. These are the “storyboards” for a short animated film wherein LM Azpiazu proves that Ravel’s “Bolero” should have been entitled “Caravan”. Join Laura May on Facebook and Twitter where she talks about what is happening in music today and shares her memories of what it was like growing up around the greats. Talking about all genres of music and the art of songwriting, she also shares songwriting tips, industry news, the latest songwriting contests and more. Let’s get social!